The Eyes of Power team created this page in support of all women that are survivors of trauma, whether it be domestic violence or that you have lost a pet you loved & cherished. All of these mean that you survived some level of trauma. “YES” there are different levels of trauma and this sanctuary is open to any women who has suffered any type of trauma in her life. Because we know first-hand the emotional scars that trauma can have on women, the importance of being heard and understood in safe environments with like-minded survivors, we offer you a space to write a note to that special someone and light a candle in their memory. We also offer you the option of a gratitude candle to honor yourself for appreciating who you are. Both options are a gateway to our private survivors cafe so that you can connect with other survivors who become your support system. Our candles last a life-time and so will your time of giving. 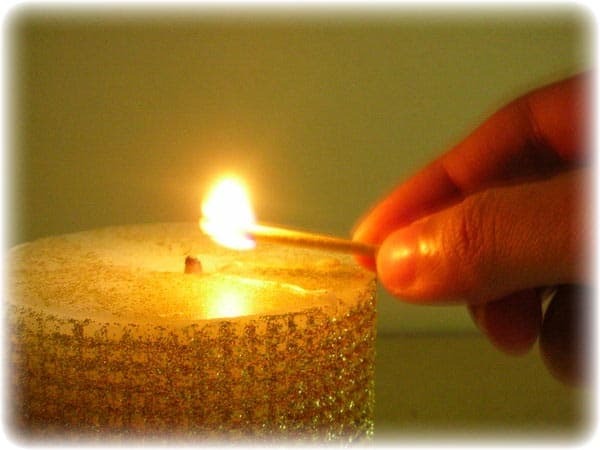 Click here to light your candle and write a note. Although you’ve landed on this page for a good reason, we want you to know that we are always here for you, and ask that you please take a moment to tour our site and if you find anything of interest, please do not hesitate to schedule a no hassle, no obligation “FREE” call to discuss your needs. If you feel that you need to speak with someone right now, you can click here for our Click-to Connect coaching page and/or to learn more about the service. Acute Trauma – where things can be fine, and then a single horrible event threatens your life and safety. Complex Trauma – you’re trapped in a life of hostility and rejection. Secondary Trauma – behaviors resulting from knowledge about a traumatizing event experienced by another person and sometimes used interchangeably with the term “Vicarious Trauma” as reference to the traumatic impact on those who feel the intensity of the traumatic event through another person. Post-Traumatic Stress Disorder – a classic form of PTSD that dealt with victims of war, who would have flashbacks of battlefield trauma for months, if not years, later. Divorce – Trauma is an inexplicable violation of your trust and safety. Therefore a divorce can cause trauma to all of those involved including the children. Chronic Illness – Chronic illness is traumatic on the physical, mental and emotional levels. People who are ill very often display classic symptoms of post-traumatic stress, even if they don’t have the full-blown disorder. Large-scale disasters and catastrophes – Alongside the disruption of daily routines, the presence of community members or outsiders in affected areas may add significant stress or create traumatic experiences in and of themselves. Death of a close loved one – Whether or not a traumatic event involves death, survivors must cope with the loss, at least temporarily, of their sense of safety and security. The natural reaction to this loss is grief. Like people who have lost a loved one, trauma survivors go through a grieving process. Lost of a home or employment – Losing a job is a traumatic event. There is no one way to react to job loss – and you will undoubtedly go through your own process of working through it. Sexual, Verbal, Physical or Emotional – Any of these events can cause or result in trauma. Accident – For most people who are in a traffic accident, overwhelming feelings about it go away over time. However, sometimes, those feelings don’t go away or they become stronger, changing the way you think and act. Strong feelings that stay with a person for a long time and start to get in the way of everyday life are signs of a condition called post-traumatic stress. To learn more on the events and common behavior patterns that result from traumatic events, please click here.